In celebration of International Women’s Day on March 8, Georgia-Pacific’s Brawny® paper towels brand is highlighting inspiring stories of four women from traditionally male-dominated professions who have overcome adversity and are empowering others through their accomplishments. 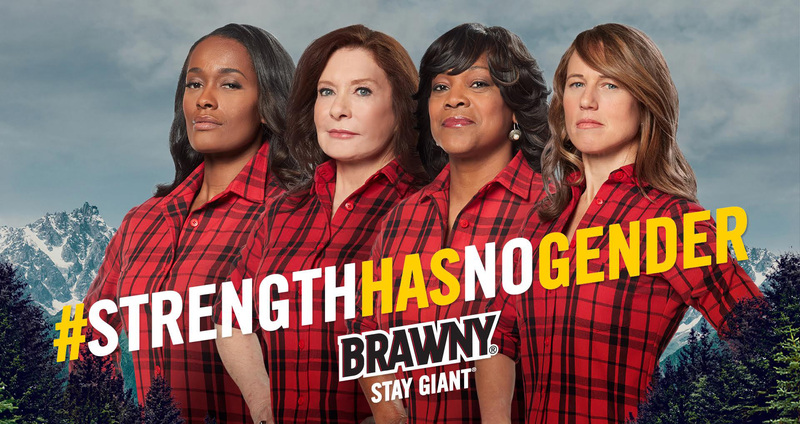 For more than 40 years the iconic Brawny® brand has also stood for toughness and the values epitomized by these women. Visit Brawny.com for more information. Based in Atlanta, Georgia-Pacific and its subsidiaries are among the world's leading manufacturers and marketers of bath tissue, paper towels and napkins, tableware, paper-based packaging, office papers, cellulose, specialty fibers, nonwoven fabrics, building products and related chemicals. Our familiar consumer brands include Quilted Northern®, Angel Soft®, Brawny®, enMotion®, Sparkle®, Mardi Gras® and Vanity Fair®, as well as Dixie®. Its GP Harmon subsidiary is among the world largest recyclers of paper, metal and plastics. The company employs approximately 35,000 people directly, and creates nearly 92,000 jobs indirectly. For more information, visit: gp.com.